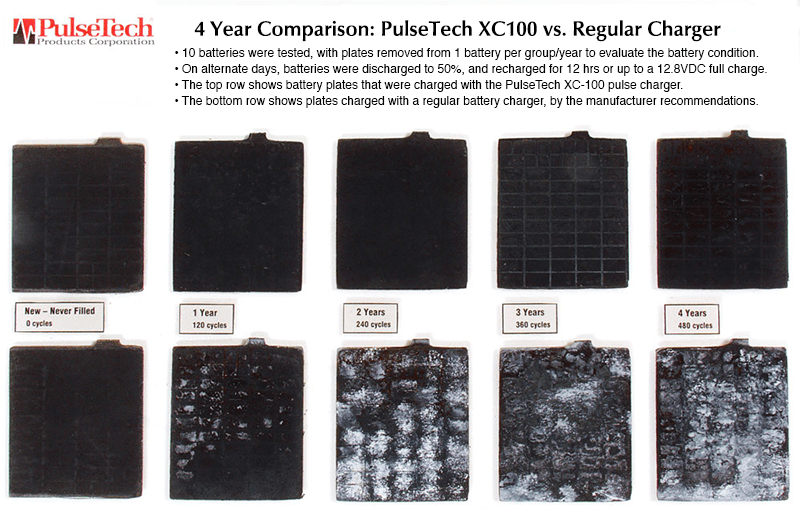 Keep your 12 volt lead-acid batteries in peak condition with PulseTech's 7 watt SolarPulse charger. Both a trickle charger and a pulse conditioner, the SolarPulse prevents damaging sulfation buildup on the battery plates, without requiring any outside electrical power. The SolarPulse is perfect for keeping recreational vehicle or marine batteries conditioned during off-season storage, ensuring your backup generator is always ready when you need it, and much more! Ideal for virtually any kind of vehicle and equipment in areas without access to electrical power, including motor carriers, rail cars, sailboats, recreational vehicles, gensets and more. Circuit Box Dimensions 3.4" X 2.4" X 1.5"
Solar Panel Dimensions 10.25" X 8.85" X 0.25"